This whiskey doesn’t belong on a shelf in a dusty saloon. This whiskey isn’t best served out of a mason jar. 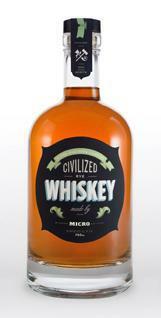 This whiskey follows the simple etiquette of the North — never be harsh or subtle. The closest Civilized Whiskey gets to firewater is the sun setting Grand Traverse Bay ablaze. Locally grown rye and pure, pH-neutral water drawn from our own well lay the foundation for a spirit of uncommon smoothness. White oak barrels cellared in our own hi-tech, climate-controlled storage facility impart straight-forward tastes of toffee, dark, dried fruit and leather. Enjoy it in its native environment, under the blue sky and rustling pines, in a tumbler or high-ball. You’ll find no need to search for nuances that may or may not be there. 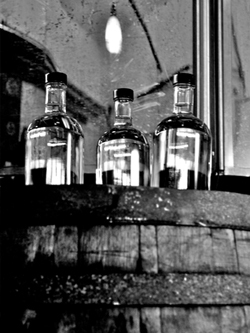 All you’ll get is the truth — a refined, micro-batch whiskey of the highest, uncompromising quality.